The Second General Presbyterian Council of The Presbyterian Alliance convened representatives from all over the world in Philadelphia beginning September 23 and continuing to its adjournment on the Lord’s Day of October 3, 1880. Both the Pennsylvania governor and Philadelphia mayor heartily welcomed the convention when it first assembled in the Academy of Fine Arts. 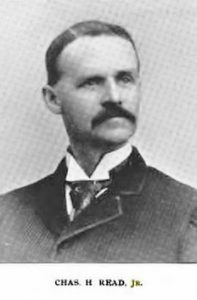 The minister of Tenth Presbyterian Church, Henry A. Boardman, was to extend a welcome to the delegates but he became ill while preparing his manuscript and later died. The brief unfinished manuscript was read to the convention complete with its abruptly hanging end. The first council had met in Edinburgh in 1877 with one of its several speakers, Stuart Robinson, presenting a discourse titled, “The Churchliness of Calvinism.” The Second Council likewise included numerous sermons, lectures, and presentations of papers by both ministers and ruling elders. The opening sermon from Matthew 8:11 was delivered by the minister of First Presbyterian Church, New York, William Miller Paxton. Scheduled was the reading of a paper on ruling elders by Samuel Miller Breckinridge but he was unable to attend, so the subject for this post on Presbyterians of the Past, Charles Henry Read, read a paper on the same subject (possibly Breckinridge’s paper). At the time, Rev. Read had for several years been a minister in Virginia. Charles Henry was born to Aaron and Maria (Hawley) Read on November 12, 1811, in Redding, Connecticut. To prepare for college, Charles attended Sharon Academy in Litchfield County which was operated by his pastor. He made a public profession of faith when he was seventeen. For college, he travelled sixty miles southeast to New Haven to complete his studies at Yale in 1832. 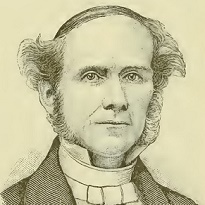 That fall he began theological preparation for the ministry in Princeton Theological Seminary but because of health trouble he was advised by Professors Archibald Alexander and Samuel Miller to withdraw after less than a year and seek educational oversight through the Presbytery of Troy in New York. Read followed their advice and earned his living as a communications clerk while he prepared for the ministry. During these years Charles married Tryphena L. Walker on July 3, 1834 in Seneca Falls. If Read had been able to complete the Princeton Seminary curriculum he would have graduated in 1835, but apparently his sickness combined with new family responsibilities continued to complicate his studies because he was not licensed until August 23, 1843 by the Presbytery of Troy, New School. On December 14 he was ordained and installed by the Fourth Presbytery of New York, New School, in the Second (Pearl Street) Church in Lower Manhattan where he ministered for about six years. C. H. Read’s next call would take him south to Richmond, Virginia, to pastor the United Presbyterian Church which was a New School congregation. The church had chosen Read through a series of elections held during three congregational meetings in January 1849. Read was one of four candidates. He received the majority of votes with 97 while the other three candidates garnered a total of 28. In order to show congregational unity in issuing the call an additional vote was taken with Read the only name on the ballot. He received all the votes excluding three who opposed his selection. The compressed schedule for the call process may have been used by the church leadership because they did not want the pastoral search to extend too long. For example, a candidate might be elected, the call offered to him, but then it was rejected, and another call would be issued, and so on, with each step for each call issued taking weeks or months. But having four candidates in suspense regarding their futures and the congregation faced with four ministers to choose from at roughly the same time is not the best way to call a minister. 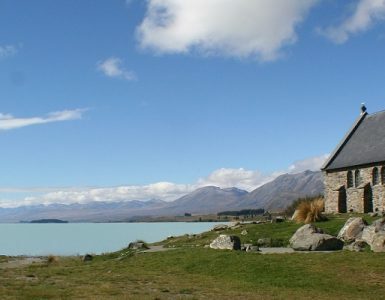 The desire of a church to avoid a protracted call process is understandable but an emphasis on expediency does not provide appropriate consideration of the needs of the candidates and congregation, nor does it recognize that the Lord calls his ministers and he may not follow a schedule agreeable to his creatures. Procedure aside, Charles H. Read was installed March 11, 1849. As the years passed Pastor Read enjoyed a fruitful ministry in United Church, but as the sectional tensions regarding states’ rights and the slavery issue increased, secession occurred, and the war began. The war increased responsibilities not only for Read but also all the other ministers in Richmond. A key event for the city during the war was its establishment as the Confederate capital in May 1861. With another layer of government added to the already present state and local governments in the city, more people arrived with more problems and pastoral needs. Presbyterians C. H. Read, T. V. Moore, and Moses D. Hoge saw their parishes grow to include a number of military prisons and hospitals where counsel, prayer, and worship services were needed. Visitors were everywhere and as the war progressed the situation in the city on the James River deteriorated as food and basic needs went unfulfilled while opportunists took advantage of the situation. 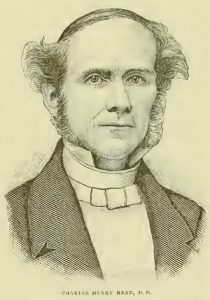 During the time of the war in 1864 the Presbyterian Old and New Schools in the South reunited and the first moderator of the reunified Synod of Virginia meeting in the fall was C. H. Read. As April 1865 started Petersburg fell into Union hands and then Richmond experienced a horrendous fire as it surrendered. The United Presbyterian Church was consumed in the conflagration. 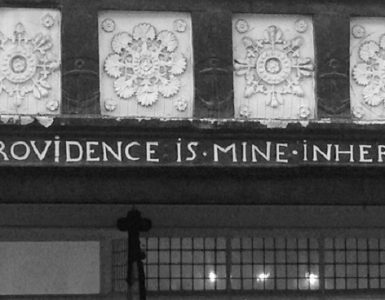 C. H. Read commented in a letter he wrote to Princeton Seminary that the biographical data form he was submitting might not be as accurate as it should be because when the fire burned his church it also burned the lecture room “in which was my study and library which were consumed.” Bibliophiles and those afflicted with the more extreme form known as bibliomania can sympathize with Dr. Read’s emotions when he returned to his church and saw nothing but ashes where his books and papers had once been kept. After the war, Read continued to minister in Richmond. A new sanctuary was built on Grace Street and appropriately named Grace Street Presbyterian Church. 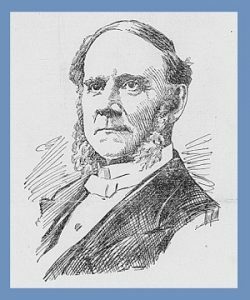 Due to failing health, Dr. Read resigned his call and became pastor emeritus on October 11, 1887 at the age of 76. On March 12, 1899, the congregation honored their pastor of the past with a jubilee celebration of his thirty-seven active years of ministry combined with thirteen years of emeritus service. The pastor of the church at the time was Jere Witherspoon who presided over the service. Included in the jubilee were lectures from Donald Guthrie, H. A. Tupper, James P. Smith, and Major Robert Stiles. Certainly, the remembrance would have been even more enjoyable if C. H. Read’s wife, Tryphena, had been with him, but she had passed away the year before on January 29. Though very weak, Dr. Read pronounced the benediction. Less than a year after the jubilee celebration, Charles Henry Read passed away on August 11, 1900 in the Virginia Hospital in Richmond. He had been honored during his life with the Doctor of Divinity by Delaware College in 1856. He was survived by his son, Charles, Jr., and his widowed daughter, Emma. Charles, Jr., was an architect and structural engineer who completed his engineering program at the University of Virginia. His designs in Richmond included the Times building at 10th and Bank Streets, the Planter’s National Bank Building, the Levy & Davis Store on Broad Street, and the Richmond campus of Union Theological Seminary which opened in 1898. 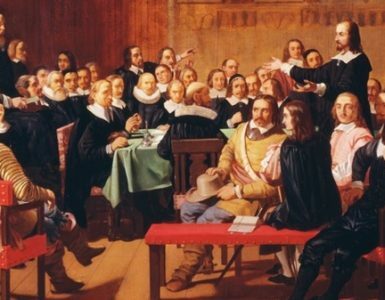 If you are unfamiliar with the terms “Old School” and “New School,” you may find helpful the brief descriptions in the post on this site, “Synod of Pennsylvania Minutes, New School, 1865.” Much of the biographical information was taken from “Rev. Dr. Read is Dead,” Richmond Dispatch, Aug. 14, 1900, and from the Necrological Report published by Princeton Seminary in 1901. The alumni letter mentioned is from Charles H. Read to William E. Schenck, March 24, [year unclear], and was provided courtesy of Ken Henke of Princeton Theological Seminary Special Collections. Information about the Second General Presbyterian Council is from Report of Proceedings of the Second General Council of the Presbyterian Alliance Delivered at Philadelphia September 1880, Philadelphia: Presbyterian Journal Company, 1880. The acid tanned portrait of Read is from Nevin’s Presbyterian Encyclopedia and the bluish one is from the Richmond Dispatch obituary. 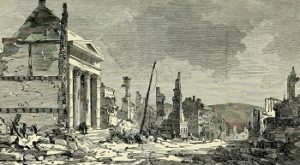 The sketch of Main Street, Richmond, after the fire is from vol. 2, of Harper’s Pictorial History of the Civil War, 1894. The information about C. H. Read, Jr., and his portrait are from, The Cotton States and International Exposition and South Illustrated Including the Official History of the Exposition, by Walter G. Cooper, Atlanta: The Illustrator Company, 1896, page 469; which was copied verbatim from Andrew Morrison, editor, The City on the James, Richmond, Virginia, The Chamber of Commerce Book, Richmond: George W. Engelhardt, 1893, page 58.